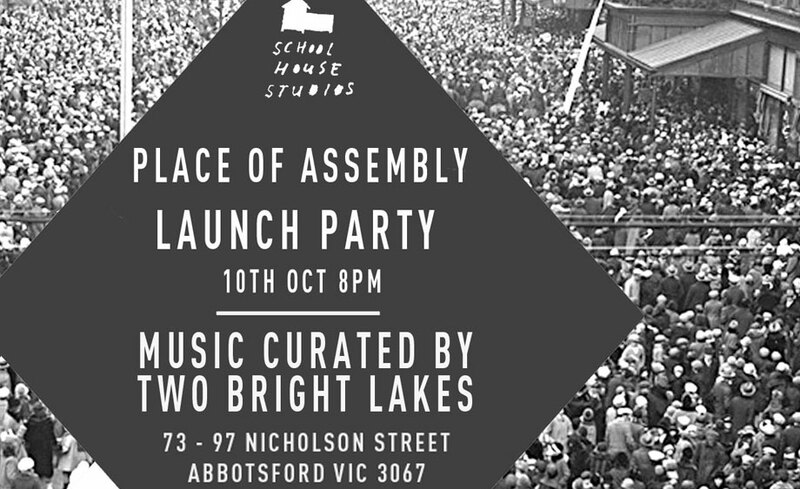 Over the last 2 years, Schoolhouse Studios in Abbotsford has been the workplace of over 75 artists working across a wide range of disciplines. With the demolition of the site planned for the end of 2012, resulting in the displacement of the tenants, founders Elizabeth Barnett & Alice Glenn, in conjunction with Melbourne International Arts Festival, are curating a two-week, site-wide exhibition. Place of Assembly brings together the artists-in-residence, along with 12 guest artists and the general public, to celebrate the diverse and vibrant 120-year history of the site. The uniqueness of the Nicholson Street site, and the fact that it will soon be demolished, offers people a rare opportunity to engage with space and art-forms in a way that is impossible in conventional galleries and exhibition spaces.